Continuing my account of Pinot Noir New Zealand Celebration 2013 held in Wellington in February and my travels around New Zealand’s vineyard regions. Admittedly I was on a patriotic high from this incredible four-day event but even more so, I felt a strong sense of absolution; that my visit to Bell Hill vineyard in Weka Pass, North Canterbury (South Island) was such an incredible experience it justified the whole trip. This was in fact my first visit to the Bell Hill vineyards; a revelation of pure joy and inspiration to see and share in Marcel Giesen and Sherwyn Veldhuizen dream; their obsession and painstaking work to produce a thimble full of chardonnay and pinot noir unparalleled in complexity, concentration of flavour, silky texture, infused minerality, incredible energy and tension of acidity—wines that speak clearly of their place with purity and harmony. You almost feel guilty tasting out of barrel here; only 2 barrels of chardonnay and 4 barrels of pinot noir from the 2012 vintage and such a privilege as the pipette only goes into the barrels for very few people. We continued tasting in their vineyard cottage with their 2010 Chardonnay and 2010, 2009 and 2005 Pinot Noir; all fascinating wines to which my tastings notes are below. Bell Hill has rapidly established a cult following amongst wine enthusiasts both in New Zealand and abroad in the traditional export markets such as Australia, UK, USA, however from the perspective of the Asia wine market and from my observations being based in Singapore, Bell Hill’s obscurity and their relatively unknown region, North Canterbury, or more specifically, Weka Pass, exemplifies how exciting and fast-evolving the New Zealand wine industry is, even if this is yet to be fully grasped on the international wine stage. And as much as New Zealand is riding high on its formidable, if not generic reputation for sauvignon blanc, clearly there is much more depth and diversity in the country’s wines that needs to be communicated and more specifically elucidation on New Zealand chardonnay and pinot noir. Wine legend Len Evan’s once said, ‘The greatest Australian terroirs are yet to be discovered‘; notionally applied the same has to be said of New Zealand and there are assuredly new and fascinating regions and terroirs to be discovered. Bell Hill is emblematic of this and ‘Weka Pass’ essentially the most unique ‘terroir’ and ‘Appellation’ in the country. 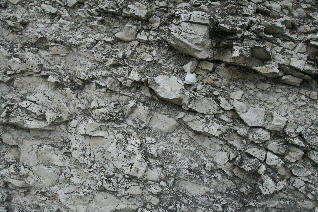 It’s uniqueness in part could be defined in being one of the few places in New Zealand where vines are planted on the Amuri Formation limestone and there is little to compare Bell Hill with; not even Pyramid Valley wines only 15 minutes down the road and which also have limestone soils but are distinctly different in both soil structure and winemaking and essentially a world away in their own unique ‘Appellation’ or what I refer to as “Appellation Mike and Claudia Weersing”. Bell Hill vineyard is situated on a bell shaped hill of limestone (hence the name) and what was once a lime quarry, in parts the chalky limestone or Waikari Soils to my mind—and palate—contribute greatly to the individual style of Bell Hill Chardonnay—the most purist mineral infused, ethereal, textural New Zealand chardonnay with the poise of (dare I say) a Grand Cru Chablis. In other parts of the vineyard there is stronger, crystallized limestone and calcareous mudstone (marl) with clay loam top soils that the pinot noir grape loves, and their pinots are stunning; so incredibly fragrant and redolent in berry fruit, I could smell Bell Hill Pinot Noir 10 metres away above all others when I walked into the regional tasting at the Pinot Noir Celebration. I have walked through a lot of vineyards in my time, all over the world, where you get the overwhelming sense that you are in a very special place, a place where grapes are meant to be and can only but produce great wine. Walking through the vineyards at Bell Hill I felt this sense of greatness, from the earthly terraqueous, from the corporeal sense of painstaking attention to detail, the biodynamic viticulture and close-planted vines, the tenacity of Marcel and Sherwyn to achieve greatness in site-expression—which is after all the ultimate attribute of great pinot noir— and an overwhelmingly animate feeling, that this truly is a great place to make wine. This word ‘greatness’ and truly great pinot noir was used continually at the Pinot Noir Celebration, but not in a self-congratulating way, to the contrary in a comparative sense; is New Zealand actually capable of producing truly great pinot noir comparable to the nuanced complexity and longevity of Burgundy. Is New Zealand capable of rising above the perfectly juicy, bright-fruited and plush pinot noirs that are wooing the world in much the same way they did with sauvignon blanc; is there really truly great terroir and are these wines and winegrowers capable of evolving to rival the ‘greatness’ of Burgundy? Frankly, I don’t believe New Zealand winegrowers need to be comparing themselves at all to Burgundy and have already established a unique and very attractive contemporary style (click here for more on this and the take-home message from NZPN13) and in a way have already surpassed the Burgundians; perhaps they (Burgundy) are the ones that will be playing catch up with a fast-growing global middle-class everyday consumer. But if you are looking for truly great pinot noir and chardonnay from New Zealand, it does already exist, here at Bell Hill. The wines speak for themselves, however you should really go see for yourself, that is the best way to be absolutely convinced how great New Zealand wine is or specifically Bell Hill and its environs, you need to go there. Furthermore, the Bell Hill vineyard is a fascinating window into the geological and paleontological past of New Zealand with a streambed and forest on the property where the limestone has perfectly preserved or fossilized extinct birds and animals such as the Giant Moa and the giant Haast’s Eagle, the largest raptor known to mankind. The history of the area goes back around 1000 years ago, when the Maori first explored Weka Pass, when the area was still forested and rich in birdlife. A large overhanging limestone shelter in the pass was used as a temporary overnight camp and early Maori rock art decorates its walls. 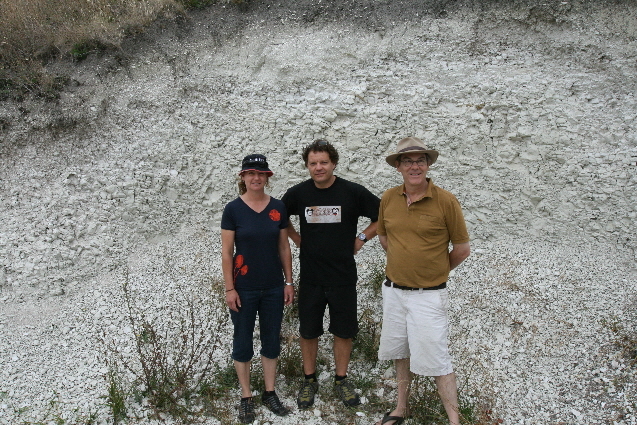 Read more on Bell Hill swamp fossil deposit – click here. It’s only 45 minutes to an hour drive from Christchurch however I would stay in the area for a good 2 days or more, taking in Pegasus Bay winery (for a long lunch) and Pyramid Valley wines (for an transcendental experience and wines). 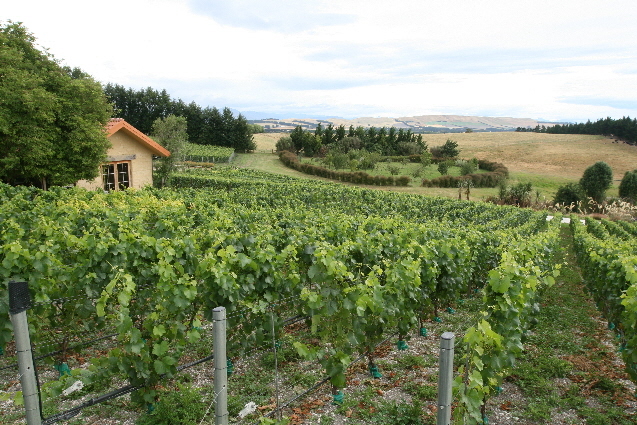 There are two excellent places to stay in the area, both also offering incredibly unique experiences; Limestone Hills (http://limestonehills.co.nz), where proprietor and truffle expert Gareth Renowden runs the only truffière in New Zealand producing three species of truffle: the Perigord black truffle, the bianchetto white truffle, and the Burgundy truffle. They have converted their Shearer’s Cottage into a charming two bedroom cottage complete with kitchen and the master bedroom opening on to a large veranda with commanding views over their vineyard and main truffière, looking down into the Waipara river gorge. You will have a wonderfully intimate experience and learn more about truffles here than anywhere on planet earth, indeed Renowden has authored the only truffle book in the world in English, available through his website. And just around the corner, if you are more the luxury accommodation type of person, there is a wonderful historic homestead called Claremont Park (www.claremont-estate.com) complete with in-house chef and beautiful stone mansion built in 1866 from hand-cut limestone quarried on-site. It is an amazing property with a working deer and sheep farm where you can go on a 4WD safari taking in amazing countryside and the spectacular 65 million year-old limestone gorges where there are incredible fossils, actually where the first dinosaur fossil was discovered in New Zealand back in 1859. It’s really more like ‘National Park’ than a farm with its amazing geology and palaeontology and you can amuse yourself for days here bushwalking, fishing, bird watching and exploring the region. After that you could drive up the east coast and go whale watching in Kaikoura , staying at the outrageously fabulous Hapuku Lodge and Tree Houses (http://www.hapukulodge.com/kaikoura/). Mr Sulu, set course for anywhere in New Zealand, warp speed! Alluring perfume of grilled nuts and truffle oil becoming more minerally and infused with an earthiness and wet pumice, chalky minerality, as its breaths revealing acacia blossom, mandarin-citrus, some subtle stone fruit nuances and hints of cinnamon spice. Wonderfully textured slippery and seamless, glides with a caressing richness across the palate, the mandarin-succulence carrying through the mouth then suddenly you realize how exhilarating the acidity is and bursting with energy with a long and powerful palate with intense spiciness amongst white stone fruits and a persistently long farewell with subtle gunflint, chalky tailing. An incredible wine that sort of sneaks up on you, on the one hand gentle, restrained and caressing and on the other a torrent of concentrated flavour and formidable power. As much as this is an enthralling drink now, it really deserves a decade in the cellar; that is of course you are one of few lucky people on the planet to have a bottle. Intense perfume, incredibly scented and leaping out of the glass, deep and rich, very spicy, builds to a melliferous sweetness of dark cherry and blood plum, extraordinary lift and purity and deep-spiced, minerally-zinc. A tour de force on the palate exploding with a rush of black cherry and raspberry, the fruit crunchy and energised by a spicy carry and coiled acidity with incredible length enhanced by a captivating herbal complexity lurking on the farewell. In a way, quite an intimidating wine in its sheer power and concentration, yet supremely elegant and so silky-textured you can’t resist drinking it—way before its time—try to lose this in the cellar for a very long time. Even deeper perfume than 2010 yet still that certain restraint, subtle blueberry aromas and a musky quality to the perfume, more odorous and deeper, brooding, really minerally infused with iron and clay-terracotta like nuances. Fleshy and firmer (chalky) than 2010, and super-charged, wow, incredibly concentrated red cherry and raspberry, powerful palate-staining, excellent structure with fine, chalky tannins, brilliant energy and lovely richness on the back palate with the fruit flavours going on and on. The 2010 might be a just than tiny bit more balanced but this is wonderfully concentrated and attractively fleshy, but also needs many years in the cellar. Concentrated perfume of poached blood plum and black cherry, showing some wonderfully secondary complexity with intriguing herbal, tobacco, black Chinese tea nuances, breaths out to reveal even more spice, very alluring and lifted oriental spices. Layers of rich fruit-blueberry-blue and black fruits, intense and pure, spicy, superb texture, silky and intense carry of the fruit which seems to be a hallmark of the vineyard. At 6 years bottle age, just starting to show development and whilst delicious it will continue to evolve for many years—more proof that the best New Zealand Pinot Noirs are drunk far too young. A great privilege to see this wine.